I’m doing finals. So in the meantime, here’s my sister, Midori Lei from Dating Advice from a Girl. Take it away! Yes, I know you’re used to tech savvy articles on this blog. That genius guy, my brother, is taking the week off. So today, I’m visiting your side of the blogosphere to give you the dirt on that not-so-easy to understand subject, women. I figure you guys already know so much about the inside world of using computers. And although it might be up there on your list of pleasurable activities, I’m sure being with a woman is up there too. If you’re already coupled or happily dating, this article is not for you. If you think you’re going to be alone this holiday tinkering on your computer or playing at a remote Halo LAN party, it doesn’t have to be that way. Heck, maybe you could even bring her to your bash! Follow these tips and you’ll be sure to land yourself under the mistletoe this year. “This the season to be jolly!” Wait a minute! In the midst of the global economic downturn, how can anybody – except of course for those top-level corporate executives with hefty bonus packages – be “jolly” this season? I personally know of people – including myself – who have lost thousands of dollars in investments. Ironically today, my PDA reminded me with its yearly recurring alert to beat the Christmas rush and buy presents early. Hooray for even more expenses! 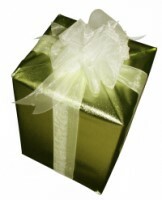 I hate to be a Grinch, but it’s hard to even think about gift giving in this economic crisis. But, you’ve got to make do with what you’ve got, right? Some people will turn to plastic. However, with the financial scare, there will be less credit to go around. Therefore, since many people will be paying with actual money, it’s imperative that they get the best bang for their buck. eBay is the perfect place for that. Think about it. On-the-side eBay sellers will emerge from dormancy and start listing items to supplement their income. Even better, there will be fewer buyers in the market because they’re holding on to their money … except smart people like you! It’s a great scenario of supply and demand where potential buyers win! Many people reading this are lone bloggers or – as I like to call them – “armies of one.” You manage the server, design the site, code the template, write posts, network with other bloggers, and market the blog. If you’re like me, grammar is kind of on the backburner. Since, I can’t really afford the price of hiring a full-fledged editor/proofreader or the time required to reread my articles an indefinite number of times, my dependence on the grammar check function is a bit more than recommended by most college professors. I know many lone bloggers who write and format posts on Microsoft Word just for the spell/grammar check function. After they finish an article, they port the post to WordPress using copy/paste. However, with this method, the formatting gets either skewed in the visual WordPress Editor – since the original formatting is in Microsoft’s rich text format – or lost in the plain-text HTML WordPress editor. Trust me, its not fun ALT+TAB alternating between Word and WordPress windows trying to synchronize the formatting. Because of this, I personally prefer to write my posts in raw HTML. I think it’s a control issue.